I got inspired to write this post about how to choose a mattress after reading our fellow writer’s blog on how to clean a mattress. I felt that it should be useful because most people just buy mattresses looking at its thickness and perhaps its comfort after trying to sleep on it for a few minutes at the store. The mattress should be medium-firm- giving you just enough support for a good night’s sleep but not so hard that you don’t want to sleep on it! I was surprised to learn that your preferred sleeping style helps determine the mattress’s firmness. Back sleepers need support for the lower back. So medium-firm mattress is best while spring mattresses are a no-no. Side sleepers need a mattress that helps the shoulders sink in a bit and contours around it to ensure your spine remains properly aligned while you sleep. Stomach sleepers may knowingly or subconsciously sleep on their stomachs. Whatever the case, you need a firm mattress to hold your body up and anything with too much sink creates sleeping problems. Combination sleepers sleep in all these positions through the night. So a gel memory foam mattress is best because it lets your body sink a bit wile you sleep on the side, remain firm when you sleep on your back and isn’t too sot if you sleep on your stomach. Memory foam mattress are consider to be the best in mattresses because it helps prevent back pain and is ideal for various sleeping positions. It’s popular with couples because it tends to absorb, and doesn’t transfer motion. So there’s no worry of their getting up when the other one moves or gets up. Full size mattresses come with a starting cost of $600. Latex mattresses don’t contour to your body shape like memory foam but only conforms to your body’s general impressions. It’s also not so good at isolating motion, which means that you are disturbed if your partner moves. These mattresses are also expensive to make, starting at $900 for natural latex full-size mattresses. Hybrid mattresses have an inner foam core that’s topped with various memory foam top layers. They are comparatively bulkier in size than other mattresses but are ideal for people who want a bouncy mattress. Different brands have different rates for their hybrid mattresses ranging from $400 to more than a $1000. You not only have to choose a mattress big enough for you and your partner, but also one that fits best for your room. Twin mattresses are ideal for a single adult while twin XL mattresses are better for someone tall and needs more leg space. Full mattresses fit most average rooms and studio apartments. Two people can comfortably sleep on a queen bed and fits into 10 x 10 square feet big rooms. King mattresses need a bigger room, and accommodate a couple and even their large pet. It’s always better to go through some reviews to find out more about different mattresses in the market. It’s better to check online forums and not just their website for reviews. The reviews on online sites are more genuine, and usually written by past customers. There are sites that pay people to write positive things about them to post on their site, to bring in more customers. Sometimes the reviews will help you to learn how to choose a mattress for your back pain, or your sleeping position. Always buy a mattress that comes with a good warranty. You never know how the mattress will react with your sleeping and end up sagging or getting compressed with time and your weight. A guarantee proves how long a company warranties the life of your mattress. On an average, each mattress has a guarantee of about 5-8 years but if you search right, you may find mattresses with a forever warranty. These mattresses rid the hassle of having to go through the tedious process of finding a new mattress safer a few years’ time because the mattress lasts forever. Remember, though you may have to spend some time learning about how to choose a mattress, it’s time well spent. You will end up with the right mattress giving you nights of comfortable sleep so that you get up feeling refreshed. I am looking to buy a nee mattress, so this is very helpful! Happy it was useful to you! Please do follow us for more interesting posts! Ugh I need a new mattress in the worst way. Thanks for the informative post, I’m going to need it! Great that it proved helpful to you! That was it’s intention in the first place! Wow! I appreciate your response! I am definitely in the market for a new mattress, actually we need a whole new bed. This will definitely come in handy. Wonderful! Hope the article proves really helpful! I remember that when I bought a new mattress I went to the shop and tried so many, until I found the perfect one for me. I also made sure that it came with a return policy if I didn’t sleep well on it, for at least 30 days. Yes, a mattress with at least a month’s return policy is a must.. This looks and sounds great. I am so much more concerned with our way of sleep now than I used to be. So important to choose a good mattress to have a better sleep. Yes, the mattress should provide you with a good night’s sleep. Each person has a different sleeping position and style…so choosing appropriately helps! Choosing a great brand of mattress is really important because we all deserve a better sleep at night. Yes, especially at the end of a long, tiring day! Yes the wrong mattress is only money down the drain, unless of course it has a return policy, as mentioned in the post! I should check for a new mattress, I will take your advices. 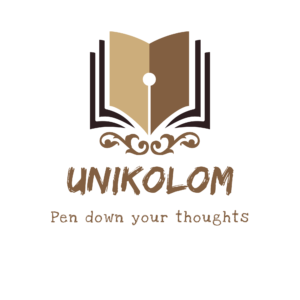 Unikolom is one of the latest trendsetters in the fraternity of all writers worldwide. We are always dedicated towards the upliftment of aspiring writers and provide platform for growth of expert writers. Unikolom always encourage writing as we treat it to be one of the noblest virtue possessed by an individual.